When we talk about reading skills, what usually comes to mind? Prediction, reading for gist, reading for specific information and skimming and scanning? If you’ll forgive the clickbait style title of this post (I couldn’t resist), the fact is that there’s a lot more to the skill of reading than this. Let’s start by looking at these commonly referred to skills, and then look at what else we could (and should) be teaching our students. Students are very often encouraged to use the title of the text, or any accompanying pictures to make predictions about the content. There are good reasons for teaching students to do this; the idea is to activate whatever students may already know about the topic and help them to start creating a context. Without context, comprehension is much harder. Think about those moments when you turn on the radio and have no idea for a few moments what is being discussed. It only starts to make sense once you realise what the basic topic is. This doesn’t mean telling the students , ‘read the text to get a general idea of what it’s about’. That is never a very helpful task because it doesn’t give the students any reason to read, or any orientation to the topic or context. A gist question should mean that the students have to read the whole text, though not necessarily very thoroughly, in order to answer the question. For example, students might choose which title or picture most closely matches the content of the text. The idea is for students to get an overview of the text, which can help them when they return to the text to find more detailed information. In contrast, reading for specific information means setting questions or a task which require the students to read the text much more carefully. This isn’t really a skill so much as a way of testing comprehension. These two words sound nice together, and make a memorable pair, but most people are a little vague about what they actually mean. Skimming has some crossover with reading for gist, because they are both about getting an overview. However, I would suggest that skimming and scanning are more properly called strategies rather than skills. They were originally both methods of speed reading. Skimming strategies are often taught as part of EAP (English for Academic Purposes) because these students have to read a great deal of content in English. So students may be taught, for example, to read just the first line of every paragraph, as this is often the topic sentence, which contains the main idea of the paragraph. Scanning is a way of reading text quickly by only looking for specific bits of information, and not reading everything. For example, looking at the index or contents page of a book to find a specific topic you’re interested in, or picking out the figures in a text to see what the results of a piece of research were. Again, this strategy can be particularly useful in academic contexts. Understanding that we read different texts in different ways, using different strategies, is very important for learners. The way we read a novel on the beach is very different from the way we read a legal contract. We probably read the novel much faster, with more of a skimming/gist approach, whereas we are likely to read the contract carefully and slowly, checking that we understand the details. Students reading in a second language often fail to transfer these different ways of reading across from their first language. However, while looking at different ways of reading, and different reasons for reading, is important, to what extent are these traditional reading activities actually helping students to read more effectively or fluently? Aren’t we mostly just giving them practice and/or checking their comprehension? Set the scene/pre-teach vocab/elicit predictions. Read again to answer for detailed comprehension questions. Discuss the content/focus on language in the text. By encouraging students to predict and to read for gist first, we are perhaps helping them to develop their top-down skills- using context and their previous knowledge to make sense of what they are reading. However, there is a lot more to the reading skill than this. 5 monitor their comprehension, make appropriate inferences, shift strategies and repair misunderstanding, as needed. Fluent reading means that readers must be able to carry out all of these reading comprehension processes simultaneously and very quickly. Just like driving a car, some of the processes taking place simultaneously must be automatized. If the reader is struggling to decode the words, or understand how the words fit into the sentence, or how the sentence fits into the discourse as a whole, their working memory will become overloaded, and they won’t be able to hold onto the overall meaning of the text. So helping students to develop their reading skills must, I believe, include specific and conscious work on bottom up or decoding skills as well as top down skills, such as predicting. Whereas top down skills start from the reader and what the reader already knows or understands, bottom up or decoding skills start from the text. At the lowest level, students need to recognise alphabetic letters and then the words formed from these letters. Clearly, recognising and understanding written words is a key part of reading, even though we would usually deal with it under the heading of vocabulary. According to Paul Nation, in order to understand a written text without any assistance, students need to comprehend 98% of the words. So, if we want to work on developing reading skills (rather than using the text as a way of introducing new language) it is important that students aren’t getting stuck on too many unknown words. Assuming that students recognise and understand enough of the vocabulary, the next layer of difficulty comes in putting those words together, understanding sentences, how those sentences fit together, and how what we are reading links with what we’ve already read. This is an area where there is huge potential to help students, and yet, outside academic reading courses, it is rarely a focus. This is why I was so excited to work on Oxford University Press’s new series, Navigate. In this series, there is a clear syllabus and focus on these kinds of decoding skills. At lower levels, this might be understanding conjunctions or pronoun reference. At higher levels, we also focus on understanding complex sentences, ellipsis, paraphrasing and so on. If we don’t focus on these kinds of skills, we are only teaching students part of what they need to know in order to improve their reading skills, and most of our focus is on testing comprehension rather than teaching. Should we pre-teach vocabulary before reading, and if so how? Thank you for your article which is extremely helpful and informative. I would like to read more about Grabe and Stroller (2011:23) and Paul Nation, I am currently taking a course and would love to obtain more information from both these sources (this in regards to methodology. Thank you and once again, great article. Would you happen to have the links by any chance? Thank you. Perfect, thank you so much for your help. I look forward to reading your future work. A very useful read! Would you have a similar entry on ‘What are speaking skills? -they are not (only) what you think”? When students do a group discussion for example, what generic and specific speaking skills could be the focus of the activity? Yes, you could consider speaking skills in the same way, but I suspect people are more familiar with some of the more bottom up type speaking skills, such as topic change, interrupting, clarifying etc. Thank you for your quick reply. 👍 Would you write a blog entry on speaking skills, in the same way as you did about reading skills? I would love to read it! I am helping out on TESOL programme and the other day I was asked to observe some students doing a short peer teaching session. They were supposed to “teach a speaking skilll”. Each group decide to do a group discussion activity. When I asked them what speaking skill they tried to focus on, they were really puzzled; in fact, they had no idea what I was getting at. They said their aim was ‘fluency’. But to me it’s a very generic skill. 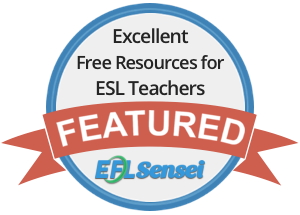 How do you teach ‘fluency’? What is ‘fluency”, anyway? I assume it’s a culmination of numerous sub-skills. So, what could these micro-skills be? If you know any ‘taxonomies’ on speaking speaking skills that are out there, could you please share the link here? But, I would be very interested in reading a blog entry from you on ‘What are speaking skills?’. Great! 👏Looking forward to reading it, whenever it may be. Thanks!